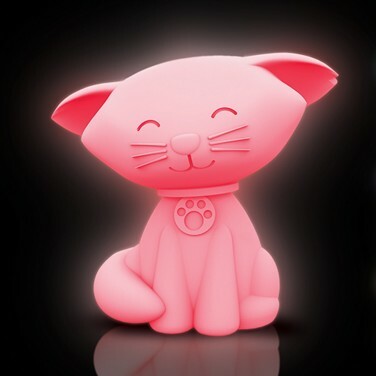 Lit by colour change LEDs, this cute grinning cat makes a fun nightlight that scrolls through seven key colours. Ideal for soothing kids of all ages into sleep, this colour change cat mesmerises with it's relaxing light show making it ideal for restful bedtimes. 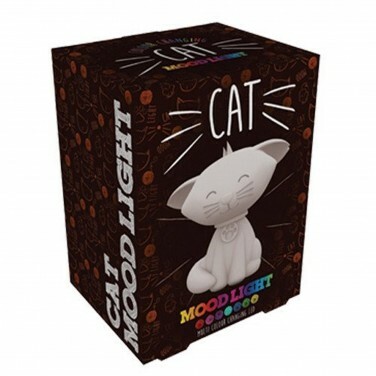 Battery operated, this cute cat light can be taken anywhere including sleepovers and on holiday for comfort and familiarity at night.